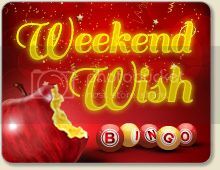 This weekend take part in the Win Without Winning bingo competition which will reward 5 unfortunate pinkies that have had a bad run in any of the bingo rooms with a £20 bingo bonus each. Simply play any 90 or 75 ball bingo games between 11am Friday 30th May and midnight on Thursday 5th June 2014, and if you experience an unlucky spell within the competition period and become one of the top losing players, they will brighten up the start of your following week with a nice £20 bingo bonus for you to enjoy. Every week they run this game on a Friday and put £150 up as the bingo jackpot. Win some extra cash to start the weekend in this tantalising game. The Dollar room will host a complete hour of dancing games with prizes between $250 and $450 and for every 6 cards that you buy, you get another 3 FREE cards. Get ready to enjoy this special offer Sunday, June 1st, between 10 PM - 11 PM EST. Play your favorite Slots and Video Poker Games and climb the leader board to win an extra $2,700 in extra cash prizes every weekend. Simply play bingo in any 90 or 75 ball rooms between 11am Friday 6th to midnight on Thursday 12th June 2014, and you will earn one point for every £1 wagered! Accumulate enough points to make it to the top 10 leaderboard and you will win a Bingo Bonus prize. Win £750 every other Saturday at 9pm! Play Glitzy £750 and you’ll be giving your Posh pals the ol’ razzle dazzle in no time!! To be ‘crystal’ clear, there’s a guaranteed £750 to be won every other Saturday @ 9pm! Cards cost just 50p so this game will be right up your catwalk! Say goodbye to dull weekends this month and have a ball of a time by playing their slot games. Go ahead, fund your account with £25 and stand a chance to win up to 50 free spins. Ruby is opening the exclusive Celebrity Club and entrance is by invite only! This is an event not to be missed; the Celebrity Club’s star attraction is the £500 worth of Free Bingo games but its very special guest is the £2,500 in Superbooks prizes. To get your invitation to enter the Celebrity Club at 7pm on Sunday 22nd June, simply spend £5 cash on bingo tickets at Ruby Bingo between Friday 20th June and 6pm on Sunday 22nd June. A pop-up message will appear in the bingo software and in the lobby you’ll see the Celebrity Club icon appear, about 10 minutes before the games begin. Get up to 450% on every Saturday and Sunday deposit! They’ve packed their bingo picnic basket with these delicious bonuses every weekend! Get a 350% automatic bonus on all your Saturday and Sunday deposits in June! But that is not all… those who make a deposit of $250 or more can claim an even tastier 450% deposit bonus! They’re treating you to an extra £15 free on top of a 300% Welcome Bonus when you make your first deposit this weekend! Join them between July 11th and July 16th, in the Afterhours Lounge, between 2 AM and 3 AM! You will enjoy games with total prizes above $4000 per day. - dancing games between $250 and $500. At a card cost of $2 you can buy up to 24 cards per game and remember to boost your chances by buying 6 cards, because this way you get 2 free cards! Join them on Sunday 13th July for an amazing £50,000 All Sorts of Fun night! With £50,000 in prize money to be won with the start of a great year, there will be plenty of 1TG & 2TG games, Bingo Linx, Big Money games, Last Chance Saloon, Buy 1 get 1, 2 or 3 Free and Roll on Bingo! Join Laddie in the Living Room from 6pm until Midnight for some Pick 'n' Mix fun! £1,000 World Cup Games – Tickets are only 1p! Join them during the World Cup, from now through 13th July, for a fantastic daily £1,000 prize game where tickets are just 1p each. The daily games kick off at 9:30pm, so make sure you don’t miss out. Earn 10 free tickets this weekend to play in the £1,111 Zodiac Bingo game on the 22nd of this month! Make real cash deposits into your PRB account between 11am on Friday and midnight on Monday 21st July 2014. Earn a single point on the leader board. For example, if you make a single deposit of £50 they will award you with 5 points or if you transfer five separate £10 deposits into your account, all at different times, you will also earn 5 points on the leader board. Accumulate the most points to make it into the top 5 within the given time period and you’ll bag 10 free tickets to play our £1,111 Zodiac Bingo game! You could win a share of 250,000 Loyalty Points on just one Golden Number every weekend. Grab a win in 90 Ball or 75 Ball game with the golden number and share the loot. Great American Road Trip Weekly Pit Stop! Go hiking to the amazing Grand Canyon with CH-April this week in chat on July 18th in the main room! CH-April they will hand out water bottles worth 5bbs each every top of the hour during her shift to help you conquer the hiking bingo trails, and enjoy the road trip even more. Don’t forget your sunglasses and sunblock, it promises to be sunny this time of year. 5 cash prizes to be won every Fri! Land lots of amazing cash from our £500k prize pot the last weekend of July! The sun is shining bright and it's time you got your summer tan on - you want to look good in those summer outfits, don't you? Head out for the beach and relax in the summer sun! And when you need some shade, they've got some pretty cool promotions for you! Between July 27th and July 30th, from 5 PM to 6 PM EST join them in the Fair and Square room as they give you the chance to win up to $5,000 in the fun bingo games with $125 fixed prizes! 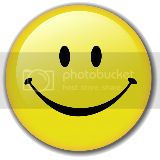 Have a memorable weekend with a FREE Slot Tourney on Saturday, August 2nd, an Emotions Games Contest starting on Sunday, August 3rd and the Penny Marathon in 75 Ball Hall on Sunday too! 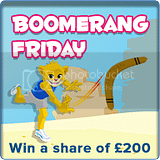 Win a share of £200 or get your money back! Get a 250% automatic bonus on all your Saturday and Sunday deposits in August! But that is not all… those who make a deposit of $250 or more can claim an even more invigorating 400% deposit bonus! There’s fun and excitement guaranteed this weekend with Betty Boop’s $500 Guaranteed game on Saturday August 9th at 5pm EDT at BingoSKY . Playing in the Candy frenzy Bingo 90 room, this game is always a player favorite, low ticket costs and an incredible Buy 8 Get 4 free offer on all tickets to this great game are what make it so special. Make sure to join in the fun for a fantastic $500 guaranteed cash prize. Don’t forget the sizzling BBQ Keno where everyone’s invited to play for a chance to win $100,000.00 absolutely free. Every time a player funds their account, players are awarded with one free play on the fabulous keno machine for every $10 funded. That’s incredible free chances to win $100,000.00 in cash! Kickoff your weekend starting on Fridays @ BingoMania with an-all new FREE & Bargain 10 cents/ card Bingo Games inside the new Summer Bingo Room. Win tickets to see Lee Evans perform at the O2! Lee Evans will have them rolling in the aisles for his O2 show and they’re giving you the chance to win 2 tickets to join the laughs! Any single $50 deposit that you make any day from Friday through Wednesday, will give you the chance to pick 5 lottery numbers. Once your deposit is made, enter your numbers right in the bingo lobby, then head over to the main room at 2pm every Thursday to find out if you were among our lucky winners! Bingo the most on the Star pattern over the weekend & the top five players will win a share of 20,000jps. Win a secret stash of goodies & hide them from your housemates! Take home a £20 cash every week – just wager the most on bingo & instants combined over the weekend! Will it be you this week? Bingo the most on the Question Mark pattern over the weekend & if you’re one of the top five players you’ll win a share of 25,000jps! Become the Ultimate Housemate of the week! Wager the most on instant games over the weekend & you’ll win £25 cash! Enjoy a little lip locking with your housemates this weekend! The top two players to bingo the most on the Kiss pattern will share £20 bingo funds! Join the Summer Bingo Party this Saturday filled with a fantastic mix of $75 games, High or Low $150/$75 games and Crazy $150 bingo games, there’s 4 hours of nonstop bingo partying to be done with fun filled bingo excitement and amazing cash prizes to be won, don’t miss out on the best Summer Bingo Party this year in the Summer Bingo room this Saturday. 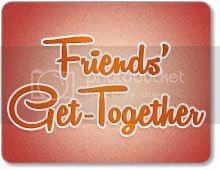 Get social on Saturdays with the fantastic Friendsy feature! The Legs Eleven room will be packed with Friendsy games to enjoy between 7pm and 11pm, making it the perfect place to win lots of cash prizes while showing off your bingo skills to your friends! What are you waiting for? Get your mates together and celebrate the return of Friendsy every Saturday night! Win £500 every Saturday. This is the best way to celebrate Back to School! Get down and boogie with Maria Bingo every Friday night from 18:00 in Mega Jackpot! The night begins with a £3,000 BingoLinx game, followed by Friday Night Fever games every half hour from 18:30. Top-of-the-hour games have a £1,500 prize and bottom-of-the-hour games feature a £1,000 prize. With a £6,000 BingoLinx game playing at 22:30, this whole evening adds up to an amazing £50,000 in prizes! It's time to put wishful thinking aside and bring your dreams to life during the last weekend of August! Enjoy hidden games and prizes ranging between $250 and $500 on both Saturday, August 30th and Sunday, August 31st in the Desperate Housewives bingo room from 6:00 PM until 7:00 PM EST! Turn over a winning leaf… Autumn BingoLinx £20k Happy Hour! £8,000 game + £2,000 in XTG prizes! Its time to turn your balance gage all the way to a red hot win streak, as you pick up 1 point every time you wager £10. The more points you gather, the bigger the casino bonus you will receive at the end. Promo valid until Sunday 7th September. Join the Dollar room anytime between September 6th and September 7th between 7 PM and 9 PM to take part in 2 hidden games per day, one with a prize of $500 and the other with a prize of $750. 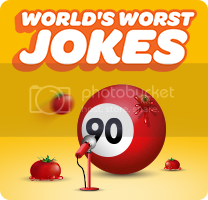 World’s Worst Jokes Tell them the worst joke you can think of and you could scoop a pair of tickets to see John Bishop at The Phones 4U Arena in Manchester with a luxury hotel stay and £200 spending money, plus one of 10 runner-up prizes of £25! What jackpot will you choose? 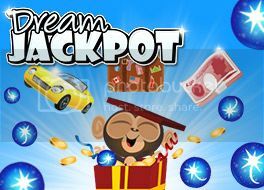 They’ve got a dream of a jackpot for one lucky member, so play now for the chance to win a car, cash or holiday vouchers! Plus, we’ve got 4 daily cash prizes of £25 to be won! Join the main room between 7pm-11pm and look for the special contest 35c 75 min patterns. Every time you win one of these Casino themed patterns you will be automatically entered into the weekly draw. The more contest patterns you win the more entries you earn. Every win/entry puts you one step closer to taking home one of the great bingo bucks Jackpots!